The cops thought he was hallucinating. He wasn't. 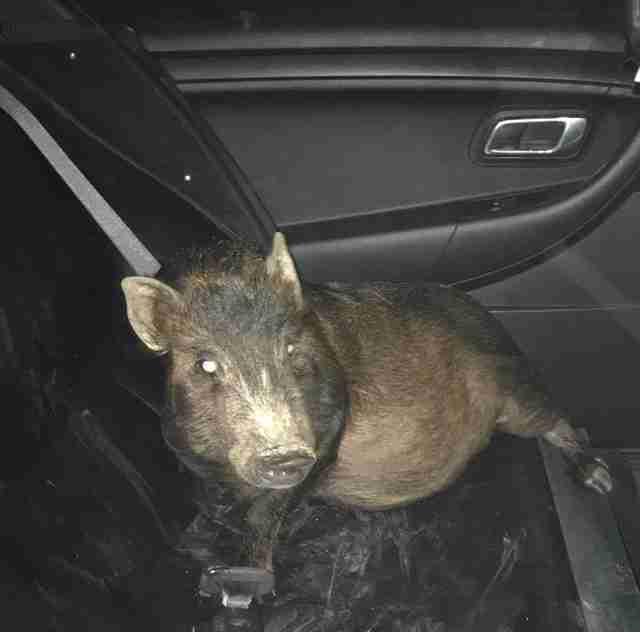 This little piggy went on an adventure — and it made one unsuspecting person rather uncomfortable. On early Friday morning, the North Ridgeville Police Department in Ohio received a distress call they couldn’t quite believe. According to the man on the line, he was walking home from the train station when he realized there was someone unusual on his trail. Evidently, the cops just assumed the man was intoxicated and seeing things in a drunken stupor as he walked home from a local bar. But they decided to send some officers out to help anyway, writing: "He was at least drunk enough to call the police on himself while hallucinating." But sure enough, when they arrived, they found that the man was actually sober — and indeed, being followed by a pig. The cops' reaction? "Is this real life?" they wrote. It was then that the portly follower's adventure ended — for that day, at least. She was loaded into the cops' patrol car and driven to a kennel for safekeeping until her owner could be located. 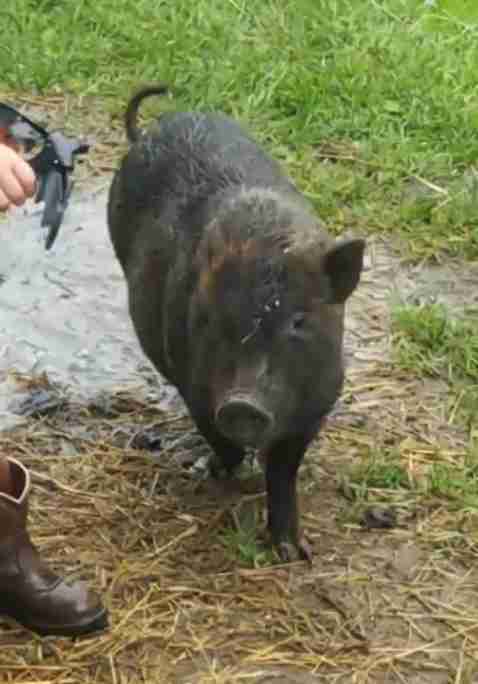 Turns out, the pig's name is Zoey. She belongs to a local family who, fortunately, reunited with her later that morning. But why did Zoey escape in the first place? "She saw someone [walking by] and just loves people. I was amazed how much like a dog she is," a police department spokesperson wrote, adding: "She's loved for sure and well taken care of." Here is a video of Zoey at home, this time following a family member. The North Ridgeville Police Department's post about Zoey's adventure has since been liked and shared tens of thousands of times. So, while the man whom Zoey had tried to befriend evidently wasn't too receptive to her offer, the pig has earned plenty of new fans from that failed attempt.